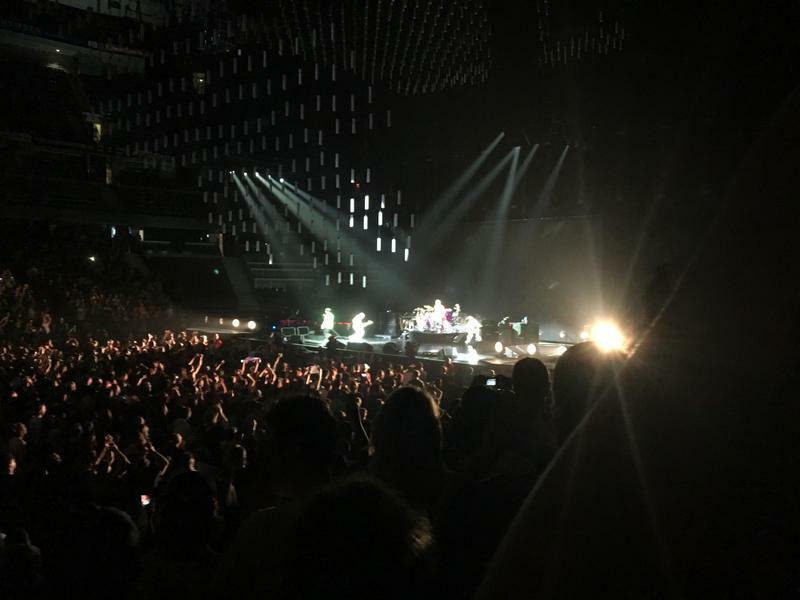 On June 23rd we made a "bucket list' trip to the nations capital to see the Red Hot Chili Peppers play at the Canadian Tire Centre in Kanta. It was my bucket list concert, my wife isn't a huge fan but was interested in the outlet malls across the road from the hotel. We stay at a Marriott which is pretty much right beside the CTC. Within walking distance or in our case a very short cab ride. We left early in the morning and spent the afternoon with a friend of mine in Quebec that lives just over the border. The RHCP's never took the stage until 9:30 so we were in no hurry to get there early. When we got there the RHCP's were still about half hour from taking the stage. The beer and concession stand line ups were crazy. God bless my wife she went back and stood in line to get some drinks because she didn't care if she missed anything. She said once the show started the lines cleared right out so she missed two songs in exchange for beer and water. They didn't play my dream set but I loved every second of it. They are still so good. Flea just doesn't stop all night long with the leg kicks and jumping around and Chad Smith just pounds it out. Anthony was pretty low key really and I was really impressed with Klinghoffer on the guitar. I had a really annoying 15 year old girl beside us, her parents were behind us. She flicked her hair all night long. Annoying. Two kids showed up with two songs left and told us we were in their seats. They were polite but one kid was obviously loaded and they couldn't produce tickets so I told them to politely hit the road. It was strange. The show was over just after 11:00 so we headed for a restaurant inside the arena and have a few drinks and watched the Blue Jay blow a lead against the Royals. This is the view from our seats. I wish I took better photos. I need a Go Pro or something better than an iPhone. They don't do it justice. We had amazing seats. My wife has some of those "Live" iPhone photos that look great on her phone. This is one of those iPhone Live Photos. It my favourite one we took. Here is some video I took that gives a perspective of the seats and show.